May 21, 2018 (Nashville, TN)---Multi-award winner Tasha Cobbs Leonard added two more honors to her already-impressive list last night at the 2018 Billboard Music Awards. The acclaimed Motown Gospel powerhouse nabbed the title of Top Gospel Artist and Top Gospel Album (for Heart. Passion. Pursuit.) at the star-studded awards show in Las Vegas, NV. Heart. Passion. Pursuit., produced by Tasha Cobbs Leonard & Kenneth Leonard, Jr., continues to impact audiences worldwide. Cobbs Leonard's current single, "I'm Getting Ready" featuring Nicki Minaj, broke into the Top 10 at Gospel radio and continues to rise. Another fan favorite on the album, "Your Spirit" featuring powerhouse Kierra Sheard, is seeing viral success with its performance music video. With over 26 million total views, receiving over 1 million views each week, "Your Spirit" has been one of the top 5-viewed videos in Christian & Gospel music for over a month. 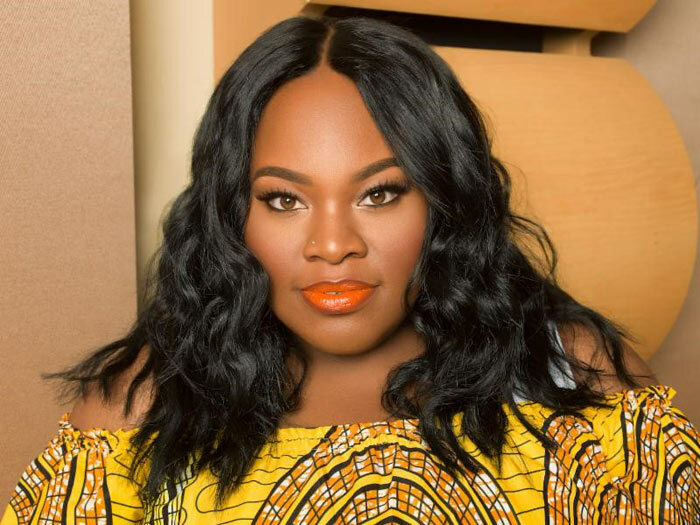 The award wins, nominations and chart successes and just the latest in a series of nonstop victories for Tasha Cobbs Leonard's historic August 2017 album which, in just 4 months of its release, became the highest-selling new gospel album and longest-running #1 album of 2017. At the top of the year, Tasha took four Stellar Awards, including CD of the Year and Female Vocalist of the Year.